Four years ago my newlywed husband and I toured Europe on our honeymoon and stayed in Airbnb rentals along the way. We had such an incredible time that we decided to give Airbnb hosting a try in a big, bold way. 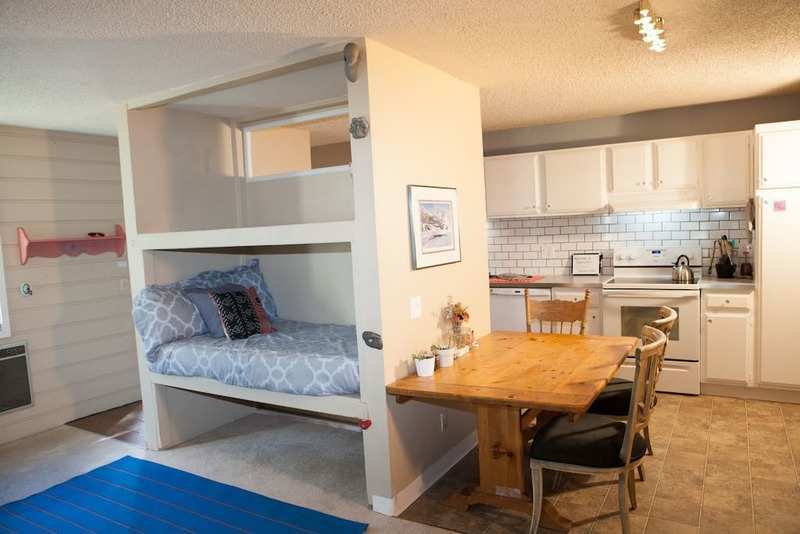 We decided to list the twin-size bunk bed built into the wall in the living room of our one-bedroom apartment. What started as a hare-brained idea to meet new people and make a little bit of extra cash soon turned into much more than we’d ever planned. After 6 months of having someone new in our living room almost every night we crunched the numbers and decided we could afford to move into a larger house and rent out our entire condo- no more sharing a living room with strangers! Reviews matter. A lot. Because when we started renting, we were offering a “shared space” the price was much lower than any other housing options available in our area. We were able to get a lot of reviews very quickly because we were the cheapest option. Now that we rent the whole unit, we had a solid base of five star reviews that keeps us at the top of search results and helps our occupancy rates stay really high. Price Low. All the people that I’ve talked to that struggle with nightly rentals set a fairly high nightly price and stick with it no matter what. We’ve learned that we gross way more by lowering our prices during slower times. I would rather rent my space out for $100 per night in the middle of the week than have it listed at $250 per night but have it sit vacant. Be Involved. I know it seems counter intuitive for a real estate investor who is normally chasing after passive income, but I’ve learned that part of the appeal of Airbnb is having a host that’s a real human, not a big company or corporation. Whether I meet my guests in person or just check in with them via phone during their stay, I want them to feel like they know me. There’s a fine line between being involved and allowing privacy for your guest, but this creates a feeling of loyalty and guests tend to take better care of your home. Provide Local Knowledge. I love having conversations with my guests about my favorite coffee shop in town, or where the best place is to rent skis. Guests are really grateful and feel privileged to get the “inside scoop” from someone who lives there. Higher Prices=Needier Guests. As we gained a larger number of good reviews and began consistently hitting a 85-90% occupancy rate, we started to raise our nightly prices. Though our prices are higher than they were when we started, we’ve actually backed off and lowered them a bit. Even though our occupancy rates stayed pretty level, the type of guest that was willing to pay higher rates also expected a lot more. This just became more than we wanted to deal with! We decided to keep our prices moderate and attract a more laid-back guest.